English Heritage is leading opposition to Network Rail’s proposed Ordsall Chord scheme at the on-going public inquiry in Manchester over concerns the structure and layout will cause “substantial harm” to the Grade 1 listed Stephenson’s Bridge and historic station complex. The public inquiry into the proposed Ordsall Chord rail scheme, a significant part of Network Rail's wider Northern Hub project (click for detail), started last week and is expected to last for at least a month as the inspector listens to objectors to the proposal which, alongside English Heritage, include former Institution of Civil Engineers president Mark Whitby. Reiterating its view that the Liverpool Road station complex is the “the Stonehenge of railway history”, Andrew Davison acting on behalf of English Heritage has already described the scheme as one of the most damaging he had seen in his 27 year career in conservation. “I have never come across a proposed development so exceptionally damaging to the historic environment as the Ordsall Chord,’ he said in his rebuttal to Network Rail’s proposals presented to the inquiry. “It is unique in my experience not only in the scale of the harm which it will cause to individual heritage assets and their settings, but in the importance of the Liverpool Road station complex which it will damage to a wholly exceptional degree,” he added. His submission points out that the Grade I and Grade II* listing of buildings at Liverpool Road station only partially reflected their significance as the earliest surviving passenger railway station in the world. Manchester Liverpool Road was the eastern passenger terminus of the George Stephenson's Liverpool and Manchester Railway which opened for in 1830 as the world's first to be built with passenger transport as its main activities. 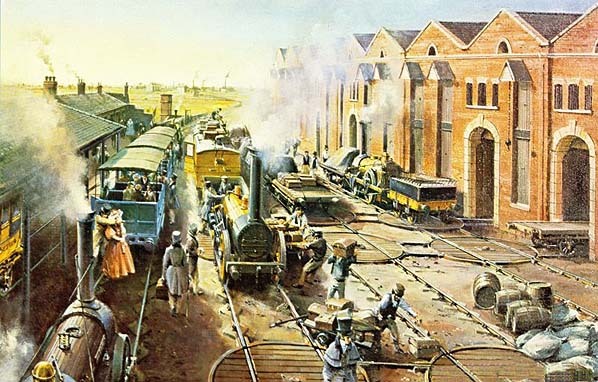 It is therefore often considered as the world's first true inter city railway. “Make no mistake about it, this is not just a place that “has potential to hold more than national significance in relation to railway history”; this is the place where the modern world began,” Davison rebuttal states. Today the Ordsall Chord is a key part of Network Rail’s Northern Hub upgrade and the proposal features a new viaduct to connect Manchester Piccadilly, Oxford Road and Victoria stations (see story). This rail link will remove a bottleneck to the south of Piccadilly station and free up space on the network to better connect towns and cities across the North. Network Rail maintains that its proposed schemes follows extensive consultation in Autumn 2010, and was developed with public and professional comments in mind to avoid the Grade 1 listed Stephenson's Bridge, and minimise the impacts on the residential properties on Liverpool Road. However, former president of the Institution of Civil Engineers Mark Whitby has joined with English Heritage to oppose the proposed scheme. Having originally been part of Network Rail’s design review panel, Whitby concluded that more work should have been done to minimise the overall impact of the historic site. Firstly, Network Rail has failed to undertake a proper assessment or consideration of an alternative route, known as Option 15, before deciding on the proposed route maintaining that, contrary to Network Rail’s view, this alternative would be operationally viable. Second his view is that it was possible to deliver the desire rail benefits with a much reduced impact on designated heritage assets at only a small increase to the cost. Network Rail rejects the claims made by English Heritage and Whitby. After 18 months of consultation with local and regional stakeholders, it submitted its plans for the Ordsall Chord to the Transport and Works Act Unit within the Department for Transport on 16 September 2013. Network Rail maintains that its proposals are the best balance between providing the required operational benefits and protecting the heritage environment. Duncan Law, Network Rail senior commercial scheme sponsor said, “The Ordsall Chord is a vital part of the wider Northern Hub project which will help to deliver a significant boost to the economy across the north of England by improving links between its major cities. The inquiry is expected to last for at least five weeks ahead of the a decision in the Autumn. If permission is granted by the inspector, it expects to start work in late 2014 / early 2015 with a potential completion of the work set for the end of 2016.